When you start a new job, it is often customary to be welcomed to your new work place. Typically, your supervisor of trainer shows you to your work space and may hand you a stuffy manual to read about the company. 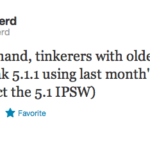 Apple does things different. 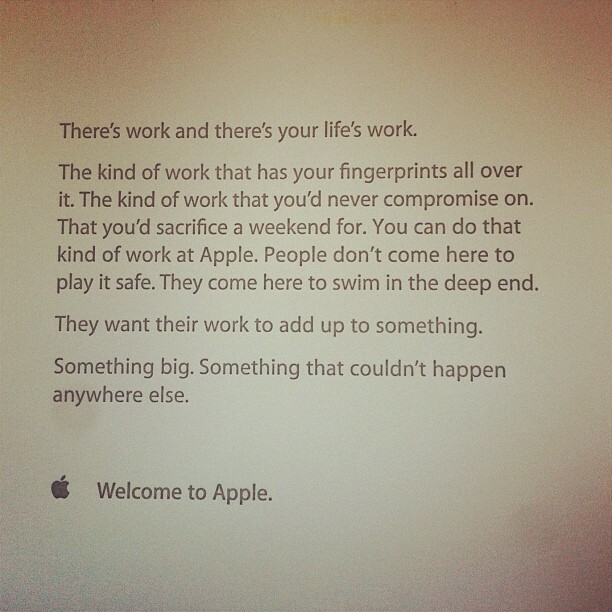 Take a look at this note you would receive, upon starting a new position at Apple. Quite an inspirational letter, to get you started. Every line of the letter is true. Apple products change the world, and I can only imagine that it would be beyond amazing to be a part of the experience. Instagram user “M” posted a photo of this letter. He had this taped to his dresser for years, and it is still inspirational to him. In my personal experience, I have never been welcomed to a new company in this way. Usually, after being hired, I have been sent away on a training course some where, then put to work right after, with no real formal welcome. I think I’ll be printing this out, and putting it up on the wall beside my desk. These are not just inspiring words for working at Apple, but for everything we do in our lives, everyday.